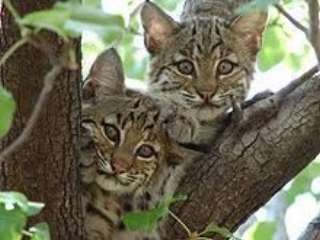 Proposed Bobcat Season in Indiana: A Ploy by IDNR to Boost Interest in Hunting? The Indiana Department of Natural Resources (IDNR) is currently accepting public comments to a lengthy and convoluted rule package. Although CWE is working to oppose this rule package in its entirety, our members are particularly concerned about one new and troubling issue, specifically, the agency’s push for bobcat hunting and trapping. IDNR recently released an FAQ sheet to support a bobcat season in Indiana. While IDNR’s publications typically consist of no more than agency propaganda, its responses to these FAQs actually demonstrate many of the reasons a bobcat season is an ill-advised, unnecessary and an unscientific idea. For instance, IDNR has no idea which parts of the state “support strong, self-sustaining bobcat populations.” At the very least, an agency should have a firm handle on such analysis prior to proposing a bobcat season. IDNR stresses that it will closely monitor and record the killing of bobcats, yet the same regulatory package that reintroduces hunting and trapping of these animals also proposes relaxing the reporting obligations for fur buyers. The agency also touts “strict limits” on bobcat killing, yet proposes no penalty provision to discourage wrongdoing. IDNR’s FAQ contends that “Trapping is highly regulated and strictly enforced by Indiana Conservation Officers”. While trapping proponents frequently repeat this claim, it is a falsehood. Wildlife trapping regulations are notoriously weak, extremely difficult to enforce, and depend almost exclusively on self-reporting by the trappers. Trappers scatter their hidden traps across the vast lands they trap on. Since there is no requirement for trappers to disclose trap locations, there is virtually no way for Conservation officers to detect violations. Additionally, IDNR’s Law Enforcement Division employs 214 Conservation officers, or just one Conservation Officer for every 170 square miles. IDNR readily admits that the proposed season on bobcats is not due to nuisance or damage (livestock predation, etc.) complaints -- two primary “offenses” that quickly land any predator species on a wildlife agency’s hit list. The proposed season will only benefit hunters or trappers who intend to sell or keep bobcat skins. According to the proposal, bobcat carcasses cannot be eaten and must be relinquished to the agency. Consequently, IDNR cannot sanitize the killing by creating one of its contrived “hunters for the hungry” programs – a favorite marketing tool used to disguise violence as altruism. So given that bobcats are not in conflict with humans and that IDNR has no legitimate reason to open season on the species, why is IDNR targeting bobcats? One explanation is that wildlife agencies including IDNR are desperate to salvage hunting as a recreational pastime. The popularity of hunting in the U.S. peaked in 1982 and has been in steady decline ever since. According to figures published by U.S. Fish and Wildlife Services, less than 4% of the population hunts today and the recent drop has been a sharp one. Between 2011 and 2016, the number of hunters nationwide dropped by 2.2 million people. Simple demographics are one reason for this decline. So-called baby boomers, the generation aged 54 to 72, make up the largest segment of hunters and they are simply “aging out” of these deadly activities. Wildlife agencies have made attempts to reverse this trend, but reduced licensing fees and increased killing opportunities are not enough to entice older hunters. Furthermore, the average hunter fits a distinct profile: rural, white (>90%), and male (>70%). Meanwhile, the U.S. population is trending in the other direction: becoming more urban and diverse. Desperate to save their primary source of revenue and relevance, wildlife agencies and the hunting industry have poured considerable resources and effort into “R3” initiatives: recruit new hunters; retain current hunters; and reactivate former hunters. In spite of these desperate efforts, R3 has largely failed. The group gaining the most access to the benefits of R3 efforts is routinely the children of hunters – the same kids most likely to take up hunting even without R3. Indiana has led the way in the failure of R3, losing more hunters than any other state between 1960 and 2016: approximately 340,000 or roughly the entire populations of Fort Wayne and Bloomington, IN combined! So how does this relate to bobcats? Wildlife agencies will attempt to engage disinterested hunters and recruit new hunters by offering uncommon killing experiences, including the exploitation of previously protected species. The bobcats who will suffer under IDNR’s proposal are just the latest pawns used to resuscitate an antiquated activity that finds itself on life support in the 21st century. The agency’s commercialization of this species is particularly egregious since it literally sacrifices the lives of bobcats merely to boost waning interest in hunting and trapping. If you would like to submit a public comment on behalf of Indiana’s bobcats, you may do so here. The public comment period closes on March 23, 2018. Please also consider attending two public meetings which will be held in Indiana in March to vocalize your opposition to the rule.